LibreOffice is ultimately the best free open-source office suite out there since the project was forked from OpenOffice. Many Linux distros now come with LibreOffice installed by default. So, onto today's topic. 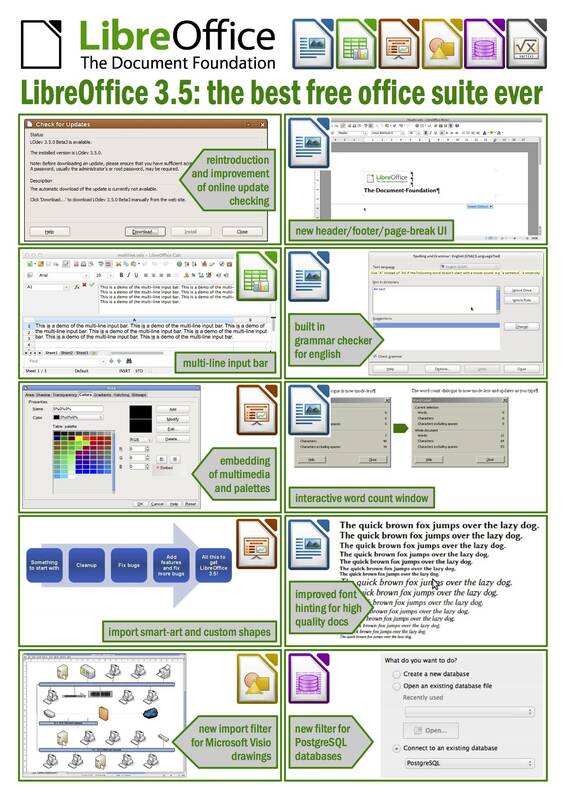 LibreOffice 3.5 has been released. It's the third major release by the LibreOffice team and it packs some nice new features to the existing Writer, Calc, Impress, Draw and Base. An online update checker (which it really needed) also makes its debut with this release. The Document Foundation has created a simple illustration that presents the many new features from this release. You can read about all the new features and bug fixes here. LibreOffice 3.5 will comre pre-installed in Ubuntu 12.04 and equivalent Linux distros. Users of current and previous versions can download straight from the LibreOffice website. However, if you like the PPA-style updating, it will take a few more days for an update to be available. A interesting mixture of two different dimensions portraying the similarities of two character's lives is fore-fronted in this prelude OVA. The setting and story can get confusing if you know very little about Vocaloid or Black Rock Shooter. 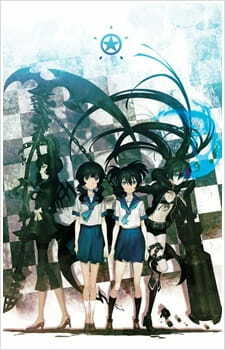 Black Rock Shooter was originally inspired from ryo's Vocaloid song by the same name. We were all surprised that an OVA was made from such a simple music video. The story arc as portrayed in this OVA was not too bad, but was slightly confusing. Not much proper sense could be made from the OVA. However, in the end we do get the idea of how the world works and how the characters interact with each other. I can safely say though that the TV series has a much better storyline (even though I've only watched two episodes so far). The art was decently animated. Some lack of detail can be noticed in some scenes and on some characters. However, the vivid change in environment can be easily noticed because of the contrasting visuals of the two dimensions. Voice acting was well recorded and suitable for this short OVA. Of course, the theme songs were catchy as this is what the anime was based on. Sound effects were excellent and emotions were clearly displayed through the character's tone of voice. The characters were interesting enough to be distinguished from each other. For the equivalent characters in the other dimension, the striking resemblance is evidently noticeable. I must admit, I quite like Black Rock Shooter more than her real world counterpart. That's just my preference I guess. Overall, the anime was somewhat confusing, but some of it made more sense at the end. There were still many questions left answered, but hopefully the TV series will answer them. Ok, the story is decent enough. Just confusing in many times. I tried to understand it, but I failed. I hope the story improves for the TV series. Art was above average. The distinct art styles for the two dimensions really stood out. Good voice acting and catchy theme songs. Sound effects were effectively used. Lovable to a limit, but the OVA is lacking characters that appear in the TV series. Its better not to stick to a particular character for this OVA. Confusingly appealing. Although I don't understand much of it, I still want to watch. I hope the TV series would be better in many ways. Answer my questions that I'm seeking!